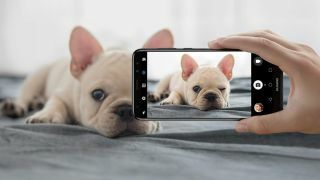 While the tech world was probably expecting the long-awaited Mate 10 and Mate 10 Pro devices to be the focus of Huawei's next big announcement, the Chinese electronics giant has opted to first reveal its latest mid-range phone, the Huawei Nova 2i. Boasting a new 5.9-inch 2:1 display and some impressive specs, including an 8-core Kirin 659 chipset, 4GB of RAM and 64GB of storage, the Nova 2i also has the distinction of being the first Huawei handset to feature both front (13MP+2MP) and back (16MP+2MP) dual-lens cameras. Though not Leica designed, the Nova 2i's dual camera sensors will allow users to implement hardware-level bokeh effects in a similar fashion to the Huawei P10 and Mate 9, while a new Selfie Toning Flash is said to provide improved, studio-quality lighting for better self portraits. Featuring a unibody design with a rear-mounted fingerprint sensor, the Nova 2i also packs a 3,340mAh battery and runs Huawei’s Android-7 based EMUI interface. The Huawei Nova 2i is priced at $499 and will be available at JB Hi-Fi and Harvey Norman stores from October 25, 2017 and at Vodafone from November 2017. No word yet on Nova 2i availability in Asia, the UK or US, though we'll keep you updated on any new information as it arrives.